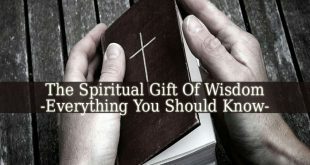 Spiritual Gift Of Mercy – it is a spiritual gift given to everyone by God. But not every person manifests or feels it. The Spiritual Gift Of Mercy is powerful. 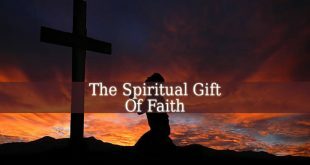 It can clean your spirit and inspire it to live the life of a so called mercy-giver. This “life-style” is an act of gratefulness and love towards God. And it makes your spirit ready to enter The Kingdom Of god when the time is ready. A Mercy-Giver is kind and gentle – he knows deep compassion. He shows mercy and kindness for everyone. He is gentle and friendly with everyone. This is the manifestation of God’s love. 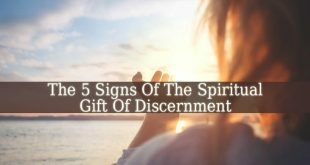 A Mercy-Giver lives spirituality – therefore, for someone with the Spiritual Gift Of Mercy, spirituality isn’t just a concept. It is a lifestyle. He feels spirituality and lives it as the only way that leads him to The Kingdom Of God. A Mercy-Giver feels the needs to pray – they feel the power of praying. They know that it is the best way to get closer to God. And to have an intimate conversation with Him. Therefore, they pray daily, not only to ask for forgiveness, but also to show gratitude and to thank God for his generosity. A Mercy-Giver reflects his spirituality around him – when you are close to a person gifted with mercy, you feel it. They project their attitude towards those around. Therefore, they feel you with a deep thirst for spirituality. 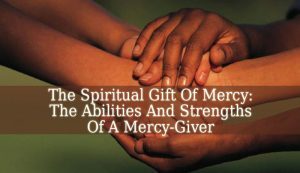 These are four important abilities of those who live the gift of mercy. But they also have strengths. Which make them special in this earthly life. They are attracted to people who need them – if you are a mercy-giver and you what to help others, then God made sure that they will meet you. And these people are those who lack the love of God from their life. They are usually rude and unfriendly. But the mercy-giver has the strength to melt their heart. They are able to love the unlovable – the people who lack love, project rudeness and unkindness around them. It manifests as a wall. Which makes them unlovable. But a mercy-giver has the ability to climb that wall. He will show the love and mercy of God to any person. 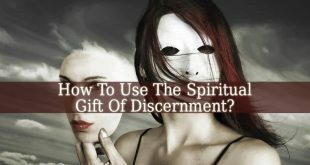 They sense your spirit – a mercy-giver knows if you suffer, even if you don’t say it. He feels your heart and what you deal with. Therefore, a mercy-giver will almost instantly recognize those who suffer in room full of people. But a person with the Spiritual Gift Of Mercy also has weaknesses. Therefore, they often avoid confrontation. But if there is no way to avoid it, they tend to do what’s not right. Also, they manifest love and mercy towards everybody, which might seem intimate affection for a certain person. It also leads to a dependence that a person develops towards the mercy-giver and his presence. They also often dedicate so much time to others, that they forget about themselves. Which leads to a lack of self-love and self-esteem.